The current ITRF construction is based on a two-step approach, combining input data provided by space geodesy techniques (VLBI, SLR, GPS, DORIS) in the form of time series of station positions and Earth Orientation Parameters. In the first step, the individual technique time series are rigorously stacked (accumulated) yielding long-term secular solutions, while the second step forms the ITRF final combination of the four technique long-term solutions together with local ties at co-location sites. The combination model involves a 7- or 14-parameter similarity transformation formula, for time series stacking and multi-technique combination, respectively. Not all these parameters are necessarily estimated in the combination process, some or all of them could be eliminated from the constructed normal equation, depending on the combination purpose. 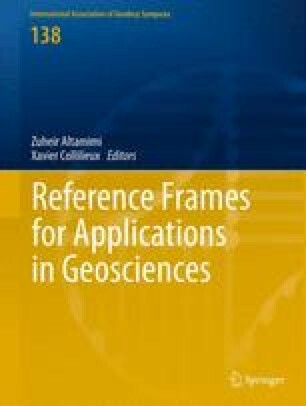 The paper discusses the relevance of the combination model and its appropriateness for the ITRF combination activities, both from the theoretical and practical point of views, and in particular for the reference frame specifications (origin, scale, orientation and their time evolutions). Selected analysis tests of ITRF2008 input data and results are used to illustrate the discussion as well as to address lessons learned from ITRF2008 experience.